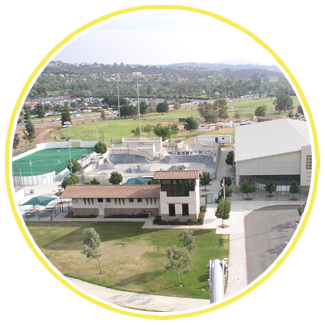 The Escondido Sports Center will be closed December 24 (3:00 pm), 25, & 31 (3:00 pm); and January 1. For more information on the Escondido Sports Center, visit sportscenter.escondido.org. The Sports Center offers times to make your child's day one they will never forget! Birthday parties are available in the Skate Park from 8:00 - 1:00 p.m. on Saturday and Sunday. Visit sportscenter.escondido.org for full party details.